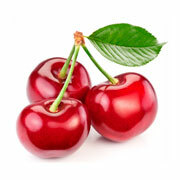 Black Cherry Tea - Charming cherry flavoured tea.. Fresh dark red cherries. Our China Tea and Ceylon Tea blend is complimented with the heavy intense fruity black cherry flavours. Dark red sour black cherry pieces are added to enhance the appearance and add a fresh fruity taste to this exotic cherry concoction.